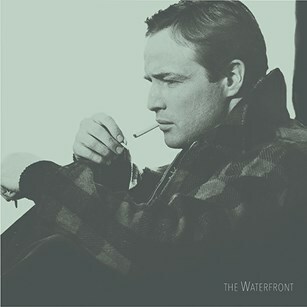 The Waterfront's legendary two-track demo is being released on 12-inch vinyl, with proceeds going to The Christie cancer charity. Early demos from a band that were to become The Stone Roses will be released this year. The Waterfront were formed in late 1982 by future Stone Roses rockers Andy Couzens (rhythm guitar), John Squire (lead guitar) and Gary "Mani" Mounfield (bass), alongside David "Kaiser" Carty (vocals) and Chris Goodwin (drums). Couzens and Squire went on to form The Stone Roses with Ian Brown, with Mani joining later. As the Record Store Day website explains: "Although the band never gigged they did record 2 now legendary tracks in a small studio in Dukinfield. A handful of cassettes were distributed among friends and to local venues. These recordings have now been lovingly re-mastered from the original ¼ mastertape, courtesy of Andy Couzens for a special Record Store Day release to raise money for The Christie in Manchester. The two tracks, Normandy ( On A Beach ) & When The Wind Blows will be available from participating record shops on 21 April 2018. On the news, Kaiser said: “It was a bit of a shock to be asked if I minded the songs being released after all this time. When I found out we don't get anything and the money goes to The Christie cancer charity, I was over the moon. What a fantastic cause having lost both my parents and numerous friends to cancer. It was only right we said yes, go ahead"
All proceeds will be donated to the NHS Christie Foundation in Manchester www.christie.nhs.uk. Why do The Stone Roses have a lemon as a logo?